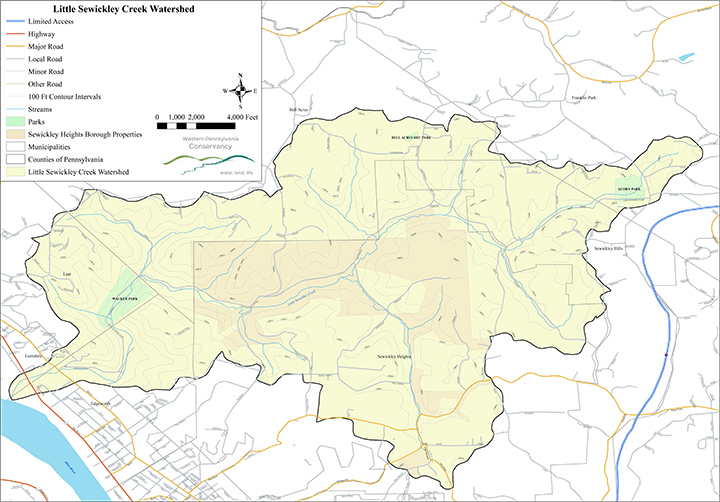 The Little Sewickley Creek watershed is a natural treasure: one of the cleanest and healthiest in Pennsylvania. Sites within it allow children and adults access to recreation, scientific and educational programs as well as pleasure from the beautiful waters. The pristine quality of Little Sewickley Creek is a strong indicator of the robust health of the entire watershed which supports a diverse ecosystem of wildlife and plant life. Our mission is to protect and conserve the natural beauty and environmental health of the Little Sewickley Creek and its watershed. Map is graciously provided by the Western Pennsylvania Conservancy.